What the chart represents is the percentage drop from whatever the record high was. In other words, it shows the percentage loss a person would have had if they had bought at the highest point in the history of the market. What stunned me about the chart was how for nearly half a decade stocks have been absolutely "pinned" to the top. 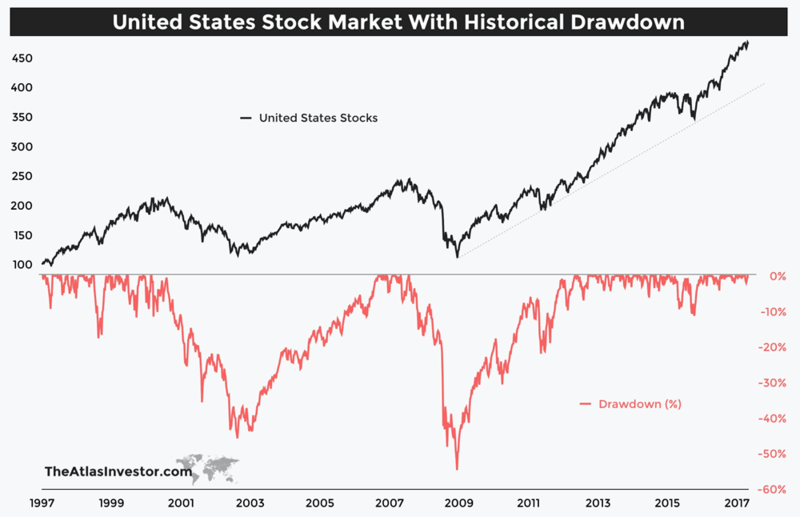 There was a tiny dip in late 2015, but since that time, there hasn't been a single drop in the market of even 5%, and even those tiny 1% and 2% drops have been utterly healed. In other words, hell on earth for an equity bear. Absolute. Living. Hell. Of course, equity bulls are doing fine, and those who didn't trade the market prior to 2012 must figure this is the easiest thing in the known universe. Indeed, they probably feel like geniuses. Because all you do is deposit some money, pick a few random stocks, and voila, you have more money than before. Why should anybody even bother working, with such easy money out there? Hell, it even applies right down to the individual stocks! So the question I ponder with increasing frequency now - - and it's a question whose potential answer chills me to the bone - - is this: what if it really is different this time? And, more important, what if this difference is permanent? 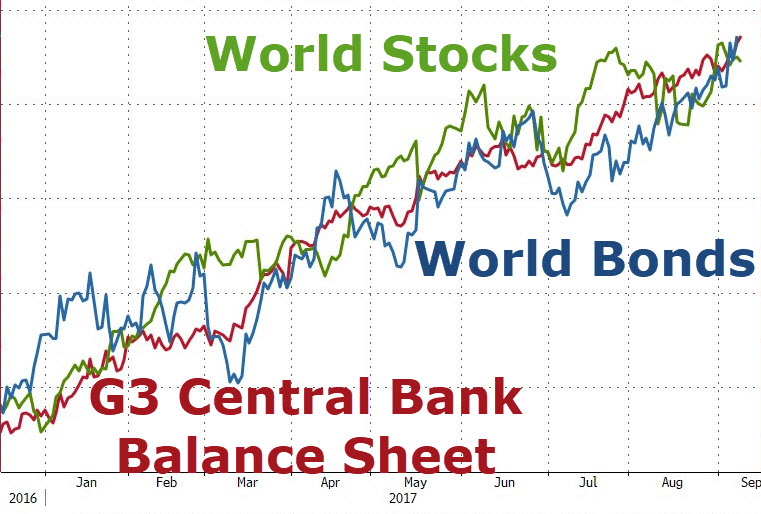 What if, in the relatively brief history of public equity markets, it simply took this much progress in technology, central bank knowledge, and economic scholarship to finally figure out how to completely control the market without serious price inflation? What if, as recent history shows, equities will merely increase in price in perpetuity? They might not move that swiftly, but they will, more or less, become more valuable, with a sprinkling of tiny drops here and there to make sure people don't go completely hog wild. Let's think of this from a different angle: as you probably know, the market for diamonds is tightly controlled. De Beers has mastered the art of the cartel. If diamonds were simply in a huge global open market, with price discovery fully allowed, there is no doubt prices would be far lower (albeit more volatile), because they actually are NOT that rare or precious. 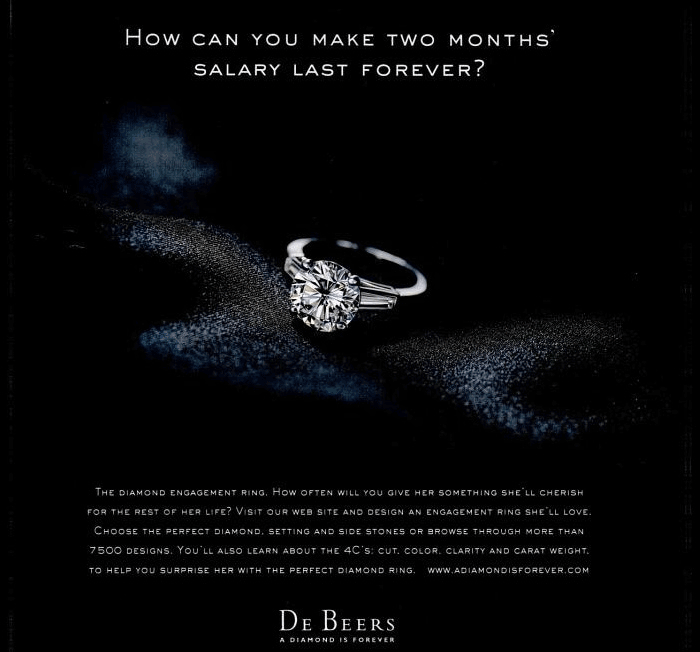 As it is, though, De Beers has balanced massive marketing ("a diamond is forever"........."how can you make two months' salary last forever?") with artificially-controlled supply to yield a market with pretty much zero volatility and a steadily increasing price. Maybe the chart above is the future of stocks. I really don't know. 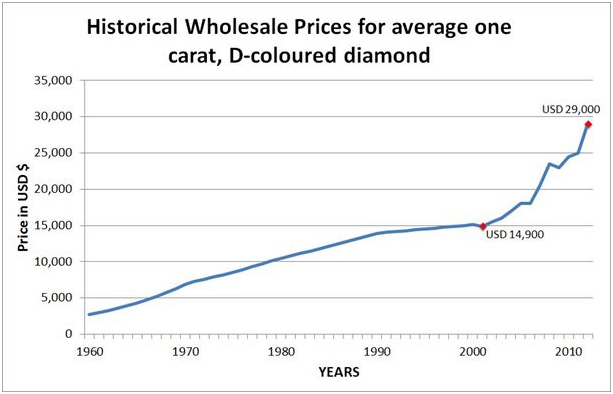 But do you notice there's no active public market for buying and selling diamond as a commodity? And that there aren't any technical analysts for diamond charts? 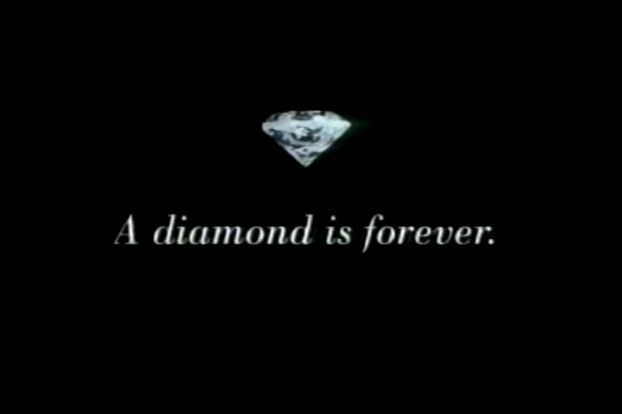 Or that there's no national network devoted to news related to diamonds? It's because all of that stuff would be drop-dead boring, because prices are controlled, and predictable, and not worthy of examination. Someone figured out how to control the market. And thus the "market" no longer exists. God help us all............us chartists especially...........if this is the new world order for equities.